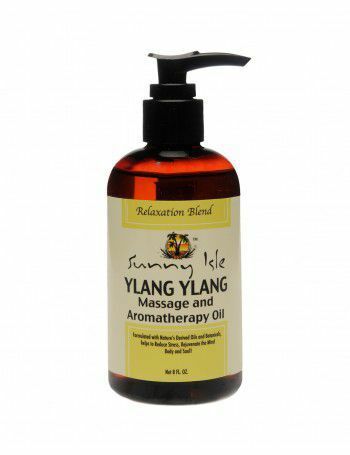 Relax your body and lift your mood with our nutrient-rich Black Castor & Ylang Ylang Massage and Aromatherapy Oil. This rich formula penetrates deeply to soothe tired muscles and calm the skin, while the sensual aroma of ylang ylang intoxicate your senses. A high-quality organic blend, our healing and restorative black castor oil, relaxing ylang ylang oil and other essential oils rejuvenate the mind, helping you to center your aura and elevate your mood -- so you can let go of life’s stresses. It also helps to increase circulation and relieve symptoms from acne, psoriasis, eczema and other skin conditions.